A very special man designed Chayon-Ryu Martial Arts. Grandmaster Kim Soo began his martial arts training as a child in Korea. He was promoted to 1st-Degree Black Belt when he was 13 years old. During high school, he began teaching and dedicated his life to spreading martial arts throughout the world. While in college earning his BA in Russian Languages and Literature, he founded Kwon Bop Martial Arts club at Han Kuk University of Foreign Studies. He went on to found the karate club at Kon Kuk University and the Korean Taekwon Karate Academy in Seoul, Korea; taught the bodyguards of former Republic of Korea President Syng Man Rhee, members of the Korean Military Intelligence Agency, and personnel of the U. S. Armed Forces. 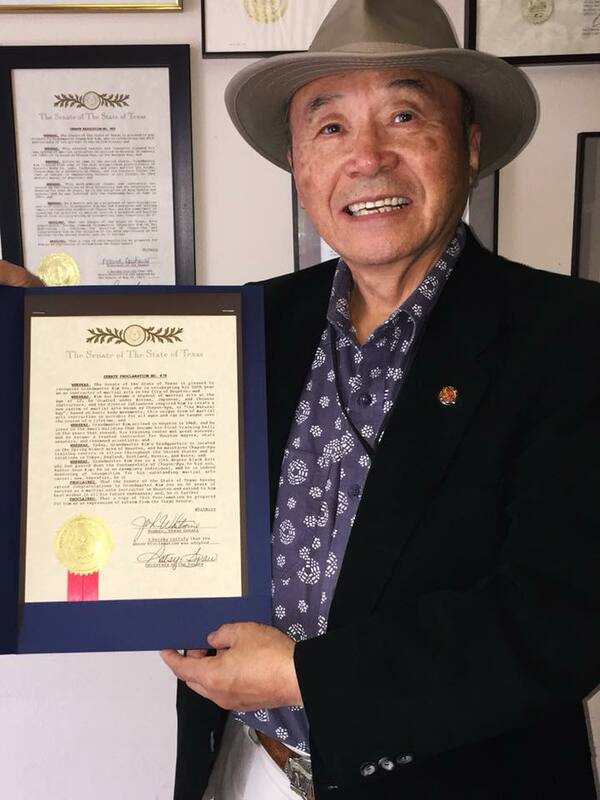 With $100 in his pocket, Grandmaster Kim Soo came to the United States in 1968 and established his first dojang in the U.S. in Houston, TX downtown at the corner of Jackson and Clay St. Since then, he has taught and inspired thousands of students and continues to instill the teachings of his masters and principles of Chayon-Ryu.